This content may contain affiliate links. We earn a commission at no extra cost to you if you make a purchase. We may earn money, free services or complementary products from the companies mentioned in this post. All opinions are ours alone. Sorry this is going to be uber short today, but I feel like a chicken running around with my head cut off trying to get everything done. I’m sure most of you can relate! 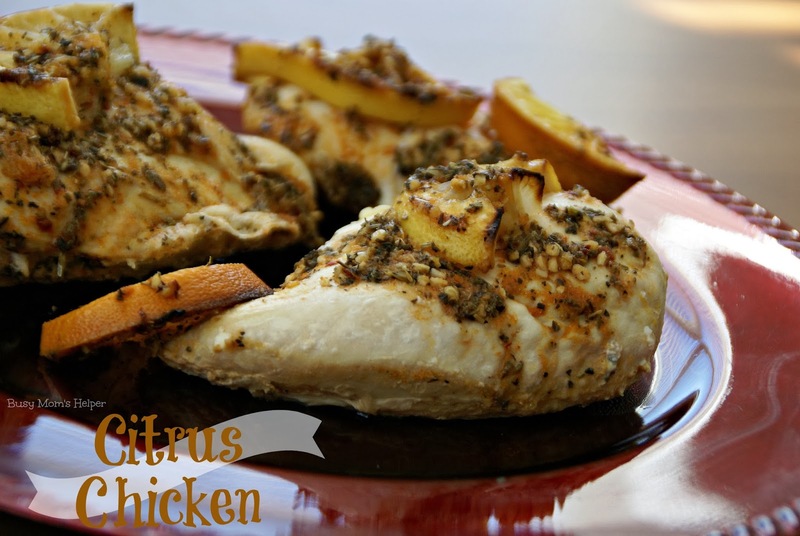 So, without further ado, here’s an amazingly delicious recipe for Citrus Chicken that turns out super moist and perfectly yummy! Oh – and easy, of course! Place chicken in a seal-able bag or dish for marinating. Combine all other ingredients, except lemon and orange slices, in a bowl. Pour over chicken. Marinate for at least 30 minutes, preferably an hour or more. Preheat oven to 375 Degrees F. Place chicken in a sprayed baking pan. Pour marinade over top, then place lemon and orange slices over top of chicken pieces. Bake for 30-45 minutes, or until chicken is cooked completely. Exclusive Free Printables & Discounts! Subscribe to get our latest content by email, as well as free printables, discounts on our products and more fun! Want free printables & more fun straight to your inbox?